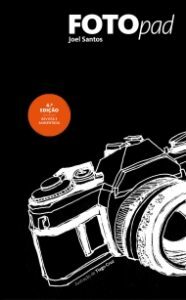 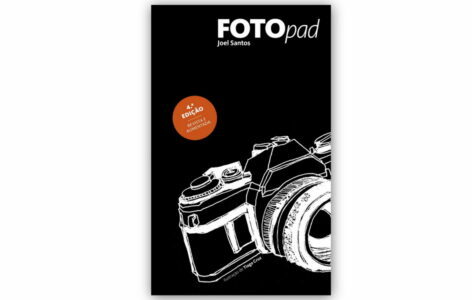 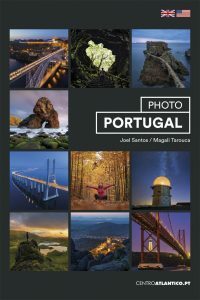 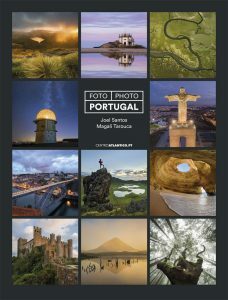 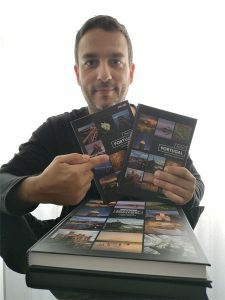 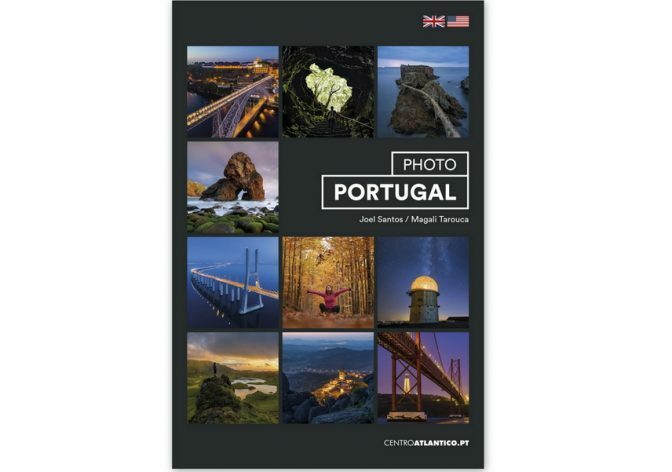 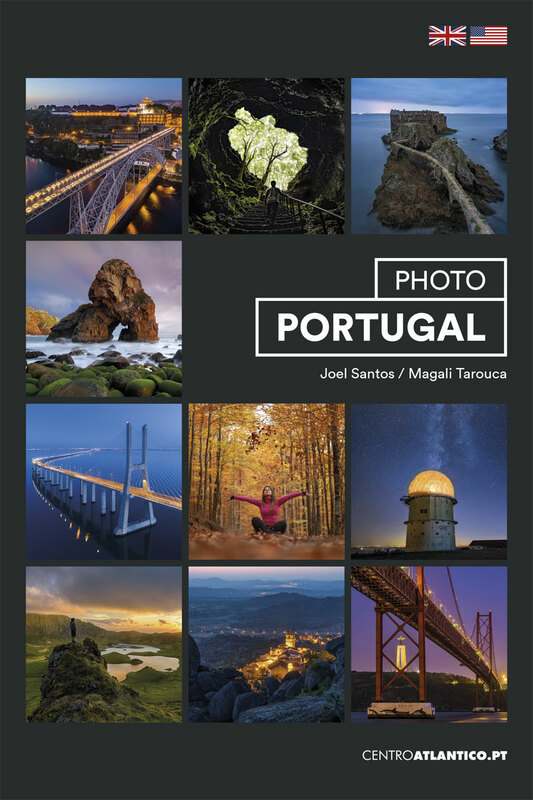 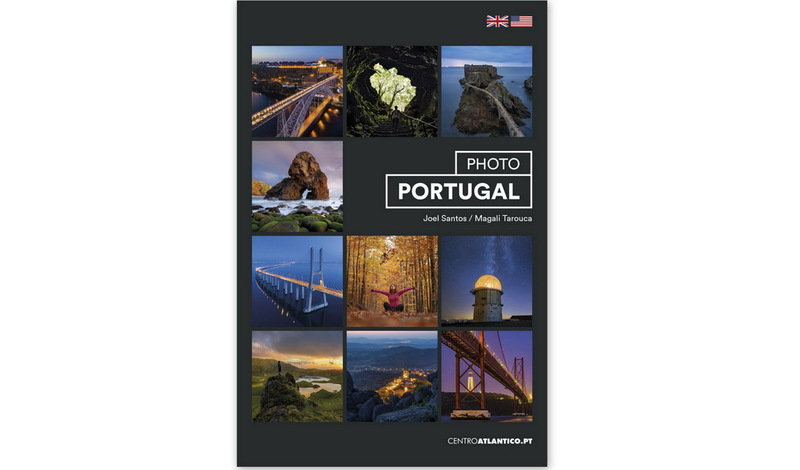 PHOTOPortugal presents an illustration of over 125 places through inspiring photographs, accompanied by useful information – from the place’s history to its geographical coordinates, along with recommendations that will allow a more enlightened exploration of these places. 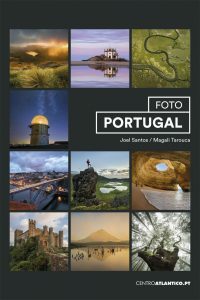 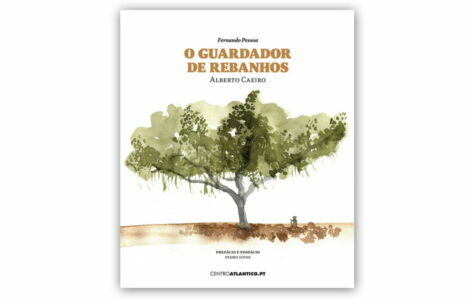 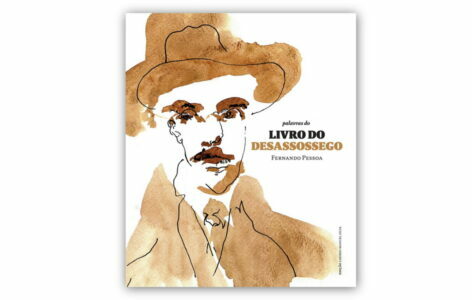 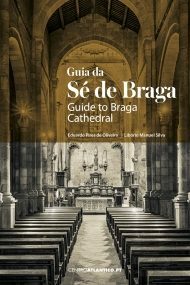 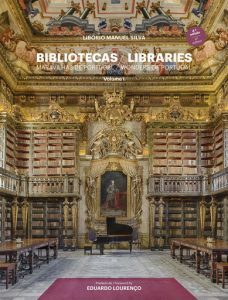 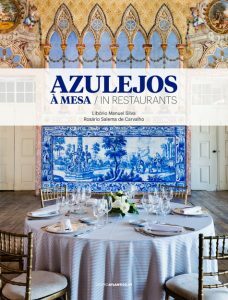 In order to facilitate its reading, this book is organised by tourism regions – Porto and the North, Centre, Lisbon and Tagus Valley, Alentejo, Algarve, Azores and Madeira – and, within these, from west to east. 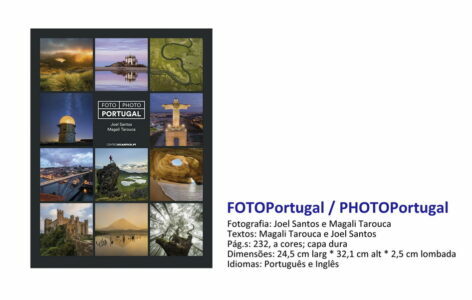 Written both in Portuguese and English, PHOTOPortugal is accessible to the majority of those who visit our country, or wish to come experience it. 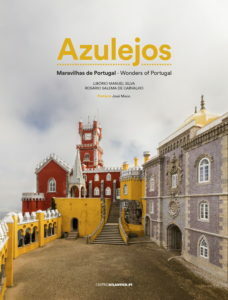 More than an essential guide about Portugal, this book, which is penned by Joel Santos and Magali Tarouca, professional photographers and journalists, authors of VISÃO de Portugal 43 episodes broadcasted on television by SIC channel, and published in VISÃO magazine, offers an original and aesthetically refined perspective of the country, stimulating the exclusive pleasure of travelling, exploring and photographing.